Logo Design Guru 2019 review - why 4.2 stars? A one-of-a-kind logo design experience awaits you at Logo Design Guru. Instead of designing a logo yourself or working with a designer who’s chosen for you, Logo Design Guru lets you create a “contest” and choose the artist you want to work with based on the design samples he or she provides you. This service is for anyone with the time to commission a truly personalized logo without doing any physical design work themselves. At Logo Design Guru, you’ll experience a one-of-a-kind logo design experience. Instead of designing a logo yourself or working with a designer who’s chosen for you, Logo Design Guru lets you create a “contest” and choose the artist you want to work with based on the design samples he or she provides you. This service is for anyone with the time to commission a truly personalized logo without doing any physical design work themselves. The design process as a whole is a unique feature in itself. 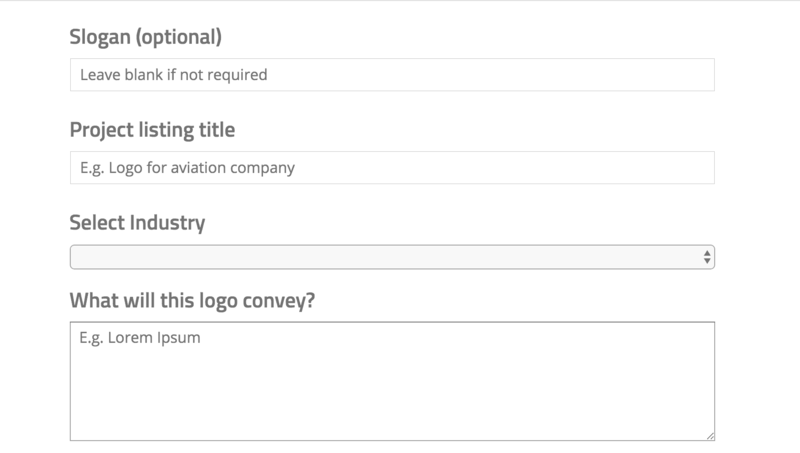 Even though you’re not physically designing the logo, you’re choosing the artist who has proven himself or herself to have the best sense of your company through a sample design bid. This crowdsourcing model is relatively unique. You can also submit a consultation form and have a designer reach out to you. Logo Design Guru’s designers are at the heart of their process. They feature over 150,000 designers from around the world, so there’s bound to be an artist who understands your company’s vision. Logo Design Guru has one of the easiest design processes, because all you have to do is tell the designers what you’re looking for. When you log on to the website, click Start Now and choose up to five logos similar to what you’re looking for. On the next page, answer questions about adjectives that describe your design, like “Modern or Traditional” and “Hi-Tech or Rustic.” Then choose your color palate. Designer’s choice is a useful option, as it will help you select the artist whose vision best aligns with yours. You can always make changes later if necessary. Last, tell the potential designers the name of your business and its tagline, specify the design elements you have in mind, upload examples, and finalize your budget. Then your contest is listed. Keep in mind that a contest is given seven days to run, and once you pick a designer the winner has 24-48 hours to contact you. Outside of setting up the contest, the website does feel cluttered and is frustrating to navigate sometimes. I like that there’s a sales support number clearly located at the top of the website homepage, with hours clearly noted. This is a rarity with logo design services. There’s also a chat box with an option to leave a message outside of business hours, a knowledge database, and a FAQ page. Logo Design Guru offers some of the most well-rounded customer service options I’ve experienced with logo-making services. Although the Logo Design Guru website advertises that you set your own budget, logo design packages start at a pretty steep price. The cheapest logo design package includes only a logo and stationery. Packages in between include other products, with the most expensive one featuring complete web design. You pay extra for a project guarantee. Without that upgrade, there’s only a money-back guarantee if your contest received fewer than 30 design concepts. If you received 30 design concepts or more, a fee is charged. If you’re looking for a unique design process and custom logo, Logo Design Guru is a good option. Once you choose whom you’d like to work with, you communicate with that designer directly so you can collaborate and create exactly what you need for your business.